Inexpensive. You can also buy clones that are even cheaper. Here's the 'bare minimum' Arduino sketch. This can be loaded into the Arduino IDE by choosing File > Examples > 01. Basics > Bare Minimum . Unlike programs running on your computer, Arduino code can never quit. This is because the microcontroller only has one program loaded into it. If this program quit there would be nothing to tell the microcontroller what to do. Defines the setup() function. 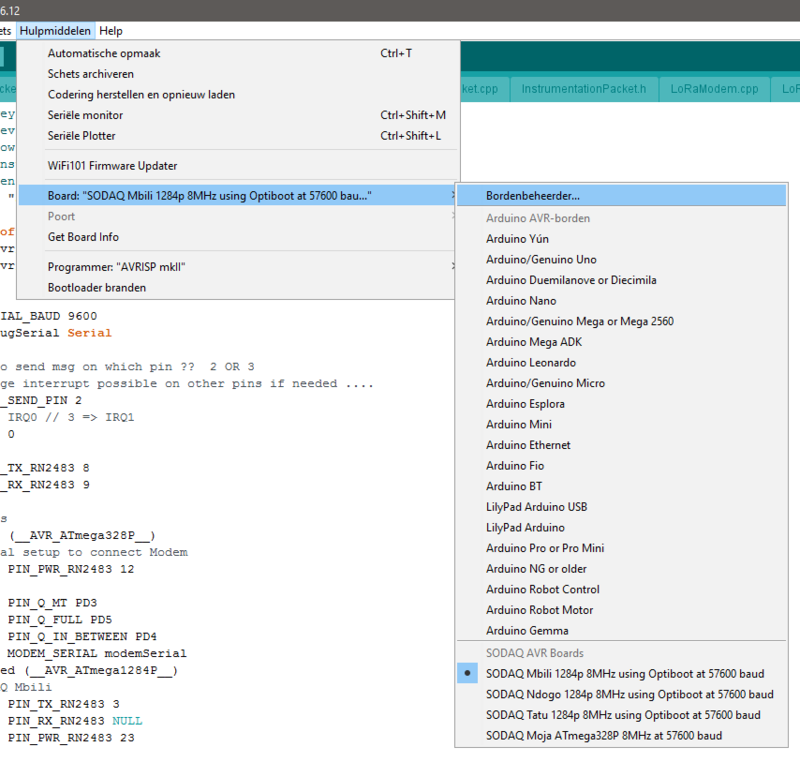 The setup() function gets called first on execution in every Arduino program. Sets pin 13 as an output. Without this, it might be set to an input, which would make the LED not work; however once it is set as an output it will stay that way so this only needs to be done once when the program starts. Defines the loop() function. The loop() function is called repeatedly for as long as the program is running. digitalWrite(13, HIGH); turns the LED on. delay(1000); waits one second (1000 milliseconds). digitalWrite(13, LOW); turns the LED off. Because loop() is run repeatedly for as long as the program is running, the LED will flash on and off with a period of 2 seconds (1 second on, 1 second off). This example is based off of the Arduino Uno and any other board that already has an LED connected to Pin 13. If the board that is being used does not have an on-board LED connected to that pin, one can be attached externally. Most Arduino-compatible boards have a USB port and come with a USB cable. Plug in the Arduino using the USB cable, and start up the Arduino IDE. Arduino IDE will start with a new sketch, typically with an emtpy setup() and loop() functions. This is enough to upload to an Arduino board, but it will do nothing at all. The "Blink" example sketch works as a simple test when first using an Arduino board. Go to File → Examples → 01.Basics → Blink. This will open a new window with the Blink sketch. Select your board. Go to Tools → Board → [name of your Arduino board]. Select the COM port for your board. Most Aurduino-compatible boards will create a fake COM port, which is used for serial communication (debugging) and for programming the board. COM 1 is usually already present, and your board will create a new one, e.g. COM 4. Select this from Tools → Port → COM 4 (or other COM number). Some boards have additional settings in the Tools menu, such as clock speed. These vary from board to board, but usually an acceptable set of defaults is already selected. You are now ready to upload Blink. Click the Upload button or select Sketch → Upload. The sketch will compile, then upload to your Arduino board. If everything worked, the on-board LED will start blinking on and off every second. 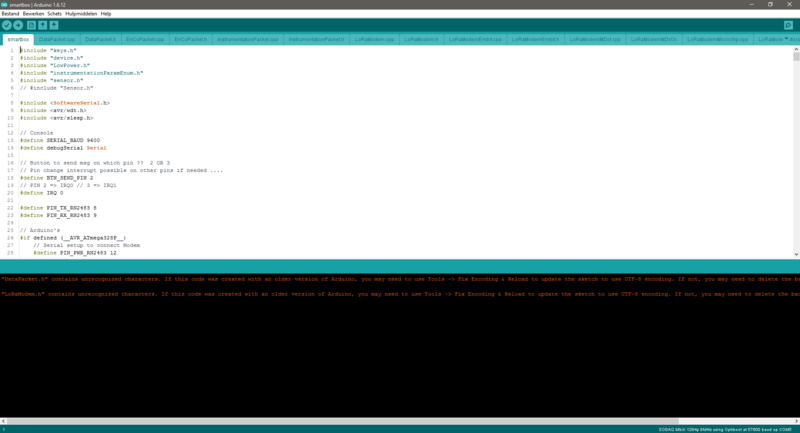 In the Arduino IDE ypu hava a serial monitor. To open it use the button serial monitor at the right side of the window. Be sure that the code is uploaded before you open the monitor. The upload and monitor will not run at the same time!